Hello and welcome to Love International School’s website. My name is Gregg Love. Together with my wife Noriko, we want to serve you with all of our abilities so that you can be the best that you want to be. I am an native English speaking American. I studied English at the University of Hawaii and I now teach English to everyone from 3 to 103. 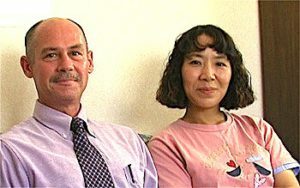 Noriko, too, lived and studied in the United States for 8 years. She has native English fluency and teaches the children. Noriko also teaches piano and voice to all age groups. There are other native English speaking teachers and Japanese teachers working with us who are trained in both good character and specialized areas to serve our students.